Why go for a day, when you deserve to stay? TREAT YOURSELF TO THE ULTIMATE, ONE-OF-AKIND, EXPERIENCE! The StaySpa property is a privately0owned vacation rental property, customized and renovated for the ultimate vacation, getaway, or retreat. 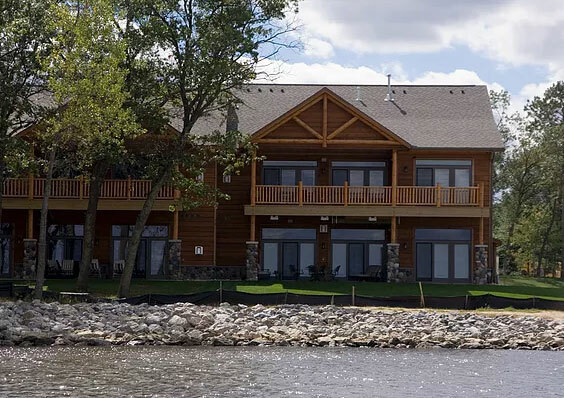 The StaySpa on Castle Rock Lake is located directly on Castle Rock Lake in central Wisconsin. With a breath-taking waterfront view of Castle Rock Lake, you have the ultimate vacation resort location. Be sure to check out all of the fun locations, restaurants and bars on Castle Rock Lake. A StaySpa property is a privately owned vacation rental property, customized and renovated for the ultimate vacation, getaway, or retreat.